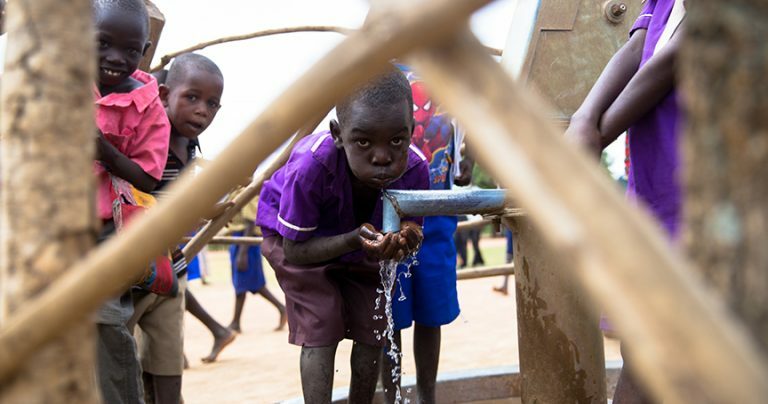 Every day in rural communities and poor urban centres throughout Africa, hundreds of millions of people suffer from a lack of access to clean, safe water. Women and girls especially bear the burden, walking long distances to gather water from streams and ponds which are full of water-borne diseases which make them and their families sick. Illnesses from drinking dirty water and the time lost fetching it robs entire communities of their futures. The cost of well is very low when you look at the huge benefits you can bring to humanity. This is also a method of sadaqah jariyah (continuous reward for you even after you depart from this dune). One water well In Africa will cost £800.00 but a water well with a tank and pipes feeding to toilets and bathrooms and vegetation in community will cost £1,500 to build. If you cannot donate for one complete water well then you can donate for a part share of a water well. Please donate by clicking the donation button below. Please note if you part donate then it could take some time for the water well to be built, as we must wait for other donations to complete the cost.